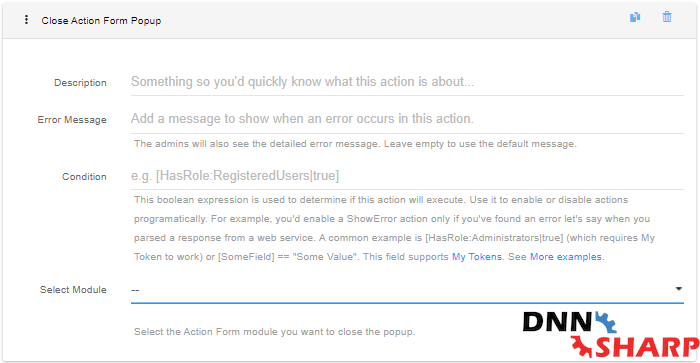 This action will allow you to manually trigger a close popup action for the specified module(Action Form/TabsPro). Select Module. Select the module for which you want to trigger a close popup action (Form or TabsPro based on the action selected: Close Action Form Popup, Close TabsPro Popup).